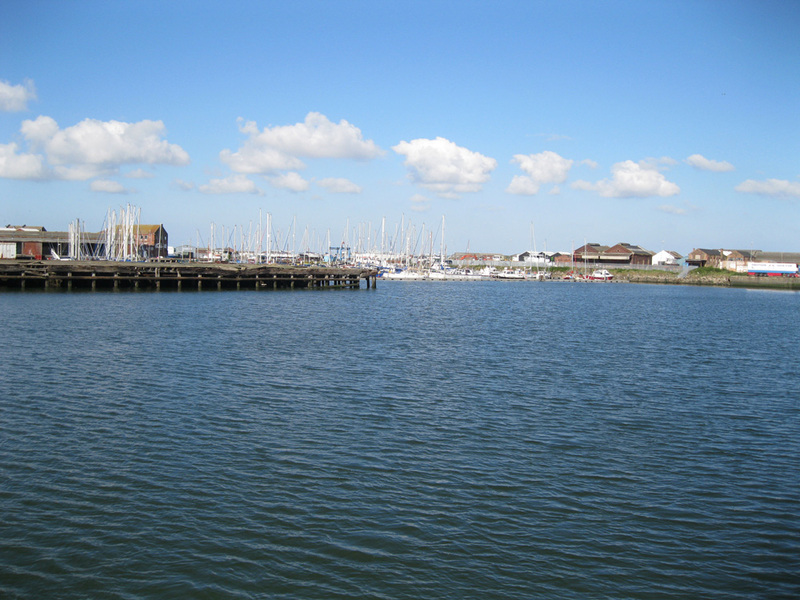 During the 12th century Grimsby developed into a busy little fishing and trading port and in 1201 the town received its charter from King John. The town continued to grow and prosper until the 15th century when the silting up of the Haven began a long period of decline. Indeed by 1801 Grimsby's population was only 1,524. However, the 19th-century saw a change in fortunes as improvements in the port and increased trade saw in a boom period with a massive explosion in the population. By the end of the century the town had 75,000 inhabitants. Great Grimsby Fish Docks is long-standing as one of the major centres of the UK fishing industry has evolved into Grimsby also becoming known as the country's premier centre for the frozen food industry. Fishing from Grimsby's River Haven has been an established, albeit initially small, industry for the area since Grim and his fellow Scandinavians settled here around 875AD. At first, the Grimsby fishermen worked just to feed themselves and to sell locally, for which they sailed as far afield as Iceland in search of good catches. As the industry grew, merchants from Spain, France and Germany as well as London were regular visitors to the town's fish market. It was the coming of the railway to the area in 1848, and the speedy distribution opportunities thus created, that caused Grimsby's rapid growth. Other fishermen, particularly those from the South Coast and the Thames, were attracted by this new distribution system and began to bring their catch to this progressive port. Six years later the first sailing smacks began operating from the town, and the now well-known landmark - the Dock Tower, based on the design of the Palazzo Publico in Sienna - was opened, designed to act as an accumulator of the water pressure operating the lock gates machinery and quayside cranes. By 1857, the first specialised fish dock, covering six acres, had opened. The port was about to rapidly grow and develop. With its excellent congestion-free rail, road and transhipment access to major UK markets, this port is now one of the country's fastest expanding and busiest complexes. Situated at the mouth of the Humber Estuary, Grimsby's port - at which fully flexible 24-hour working is a regular feature - is ideally suited to trade with mainland Europe. The area is served by the A180 dual carriageway that leads to the M180 and, subsequently, directly to the country's main motorway network. It deals with a diverse range of general goods including some 250,000 vehicles per year and can handle vessels carrying up to 6,000 tonnes of cargo. Grimsby offers a natural route connecting Britain with mainland Europe and the rest of the world. The port’s strategic location – only 10 km from the open sea on the Humber estuary – makes in an ideal option for shipping services between the UK and Scandinavia, the Baltic, Germany and northern Europe.